For the first time, Interfaith Fiji presented a prayer inside the 96-year-old Gurudwara Sahib in Samabula yesterday. The prayer took place during their inaugural ceremony. The head priest of the Samabula Sikh temple, Preetam Singh says this is being done to breach gaps between faith groups. 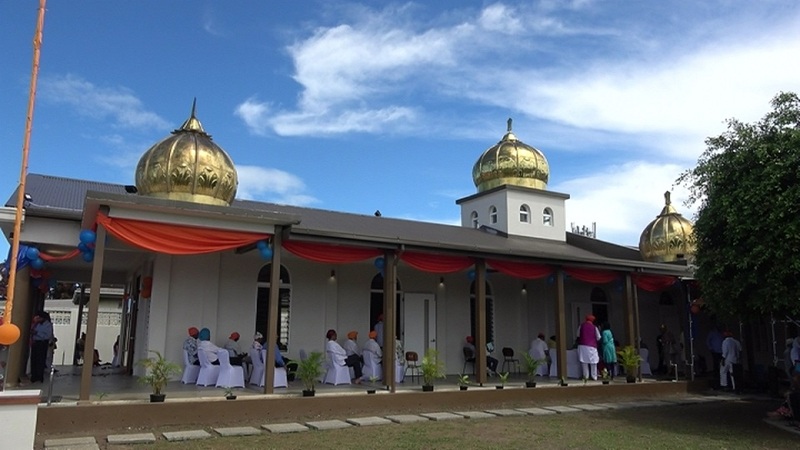 Singh adds it was another milestone for the Gurudwara in Samabula as they have invested around $750,000 and have successfully installed new domes that have been imported from Amritsar, Punjab in India. Meanwhile, Architect Jon Ortan says they had to make sure that new requirements of the building were met but at the same time, the heritage listing was maintained in a way which National Heritage Council were pleased with. The temple has some significant features which include a water reservoir running underneath.